Welcome to Lovatts Puzzle Fun For Kids Online! Hi kids! Puzzles are great fun, aren’t they? What’s your favourite? Maybe you love solving number puzzles, or maybe you like finding your way through mazes? Perhaps you’re a clever cookie with words, or perhaps you enjoy the creativity of colouring in? 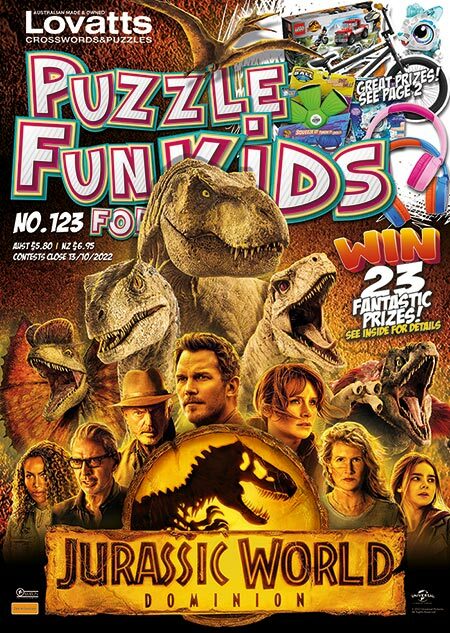 Here at Lovatts, we share your passion for puzzles; our magazines, which we’ve made just for young puzzlers like you, contain heaps of cool content that’s perfect for you and your friends. Find out more by clicking IN THE MAG. You might even win a prize just by entering the contests in our magazines – and our prizes are definitely worth winning. See if you’re a lucky winner on our WIN! page. For parents – this site and its puzzles are brought to you by Lovatts, a leading publisher of quality puzzle content throughout Australia and New Zealand. Our regular magazines for children include our Puzzle Fun for Kids title and our Kids Bumper Fun Annual.